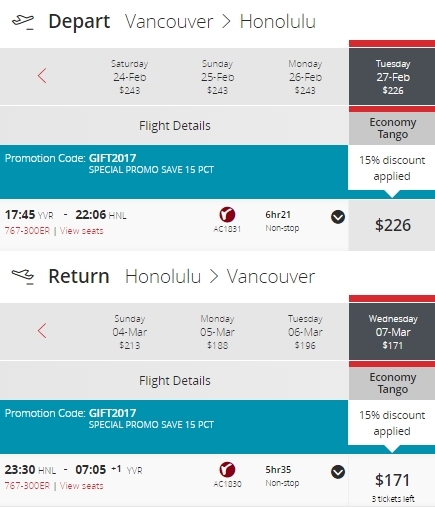 Air Canada Rouge is showing a few non-stop flights from Vancouver to Honolulu, Hawaii for $396 CAD roundtrip including taxes. Look for the dates that are $445 roundtrip. 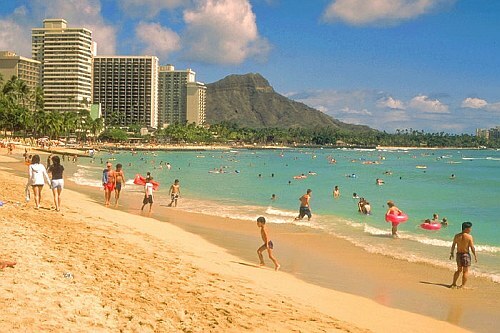 vancouver, yvr, flight deals, honolulu, hawaii, hnl, united states, north america and air canada rouge.